The world still needs gold and other natural resources, but we may need a new investment model to sustain them, says Byron King, writer and editor for Agora Financial's Outstanding Investments and Energy & Scarcity Investor newsletters and contributor to the Daily Resource Hunter. 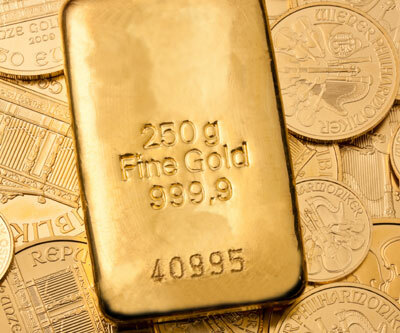 Despite ongoing market volatility, he names several midtier and small-cap gold equities for investors with a "reasonable" tolerance for risk. In this exclusive Gold Report interview, King also shares his perspective on the practical and political future of gold mining inSouth Africa. The Gold Report: Among the 14 investments in your Outstanding Investments portfolio of precious metals companies and funds, there are 10 companies and 4 funds. All 10 companies have market caps above $1 billion. How did you select them? Byron King: Let me answer the question by referring to something that Chuck Noll said when he coached the Pittsburgh Steelers in the 1970s. Every year, during the National Football League draft, people would ask him what position he was going to draft for. Noll's answer was that he didn't draft for position; he looked for the best all-around player. I do the same for the Outstanding Investments list. I don't pick a particular type of play or method of operations. I look for the best particular company in any given month when I'm making a recommendation. I want a company with long-term potential and portfolio staying power. TGR: Is it important that all of those companies pay a dividend? BK: It is. I want paying the shareholders to be part of management's philosophy. I want paying the shareholders to be as important to management as paying their own salary, or paying the electric bill or anything else. TGR: Was that important to you before 2008 or is it is a more recent preference? BK: I've always liked dividends, certainly from large companies. Large companies with large cash flow spend money for all sorts of things. Companies pay big bucks for executive salaries, headquarters and corporate jets. Okay, I get it. Still, the company had better have money for its shareholders. Companies need to include shareholders as regular creditors. TGR: What do the funds add to the portfolio? BK: Trading flexibility, more than anything else. If you want to own physical metal, then own physical metal. Take delivery. But if you want to be able to trade in and out of metal movements, funds are okay. Also, funds offer investors a way to expose their portfolio to the upside of the gold and silver plays without locking themselves into a particular company. For example, when Agnico-Eagle Mines Ltd. (AEM:TSX;AEM:NYSE) had a situation where the structure of its mine in Québec became unsafe and had to stop operations, Agnico-Eagle took quite a hit. Whereas, if you own a fund that owns a variety of gold mine companies or precious metals, you don't suffer the big hit from a one-off disaster at a particular company. TGR: What is your rationale for recommending the SPDR Gold Shares exchange-traded fund (GLD:NYSE.A)? BK: I recommend it for trading purposes only. I make a point of saying that SPDR is a play for when you want to trade in and out of the fundamental metal. If you want long-term gold holdings, you should own physical gold or find another way of doing it, not through SPDR. TGR: There are no major silver producers represented in the portfolio. Tell us about that decision. BK: I got out of a couple of large silver producers about a year ago because I thought silver was entering a decline, which it did. That does not mean I would not get back in to the silver producers in the months to come. TGR: Impala Platinum Holdings Ltd. (IMP:JSE) is the only company in the portfolio that does not have a Buy rating. Why not? BK: Impala is an intriguing company. It has great potential upside, but it's frustrating. Because it is a South African play, there's an element of political risk. Still, I believe platinum has a very strong upside. Impala could benefit from that. I would call Impala a Buy for people with a stronger than usual stomach for risk. TGR: Of the 10 companies in the Outstanding Investments portfolio, what are a couple that you think offer the most value right now? BK: For someone with a two- to three-year timeframe and a reasonable tolerance for risk, NovaGold Resources Inc. (NG:TSX; NG:NYSE.A) is finally making good progress up inDonlin Creek,Alaska. Donlin Creek is one of the world's largest new gold plays with well over 30 million ounces (Moz) Identified. You cannot ignore NovaGold as an important player in the coming years. The question is how it will get from the here-and-now to those years to come. Everything about NovaGold has been slower and more costly than we would like. In another interesting angle, NovaGold spun out a copper play. TGR: Yes, NovaCopper Inc. (NCQ:TSX.V; NCQ:NYSE.A). Tell us about NovaCopper and how that will work. BK: Basically, NovaCopper is the Upper Kobuk Mineral Project (UKMP) in northwestAlaska. For people with a long-term timeframe, theUpper Kobukproject, under the NovaCopper banner, is worth adding to the portfolio. Investors will have to be patient and realize they'll go through the up-down rollercoaster cycles as the play develops and evolves. But for a long-term resource play, I think NovaCopper has long-term reward. BK: I anticipate an eventual takeover by Barrick. If I were Barrick's management, I would want to add the entire body of that gold resource to my bottom line for my own defensive purposes and to impress the stock market. TGR: Some of the companies in the Outstanding Investments portfolio have large mines or significant exposure toAfrica. South Africa, with its prolific Witwatersrand basin, is still the continent's largest gold and platinum group metals (PGMs) producing region, but gold production in South Africa went down in 2011 and there are whispers that the ANC wants to nationalize at least a portion of the country's PGM mines. What is your take on the current state of mining politics inSouth Africa? BK: I was just inSouth Africa, in May. First, South Africans generally are nervous about what's happening with the euro, the dollar and the Chinese economy. As a major resource-exporting country, those economies areSouth Africa's markets. They're the cash register forSouth Africa. So with all the issues inEurope,North America andAsia, South Africans feel as if they are being pulled along by events that are far out of their control. In addition, as the price of gold and other South African commodity exports drops, the South African national income account drops. What's more, because much of the accounting is done in U.S. dollars, the strengthening dollar is creating cost inflation in the South African mining industry. The country is getting less money for its products, yet it is paying more to operate its mines. That is very troublesome for the political powers and for the industry. Unfortunately, the way to deal with the immediate situation is to lay people off. In a country where unemployment is as rampant as it is inSouth Africa—5% officially, and more like 50% when you count underemployment—that becomes a very dicey political issue. Right now, the big issue inSouth Africais the day-to-day economics of the mining business. When you get into the bigger, pie-in-the-sky takeover questions, the South African political structure has to account for the fact that many of the largest mining operations are extremely expensive to operate because the mines are so deep and technically challenging. The future of deep mining inSouth Africais not putting people in the ground to do the work; the only waySouth Africacan remain a large-scale miner, certainly in theWitwatersrandbasin, is with robotic mining. But automation and robots raise all kinds of technical and cultural issues. One miner down below might support 10 people working in the plant on the surface, and those 10 people working on the surface might support 100 people in their local village. So, one mining job underground inSouth Africamight be the key to 100 people eating or not eating. TGR: Some of the bigger mines employ 10,000 people. They do not have the mechanized infrastructure of a North American operation. BK: No, and mechanization is a very contentious issue with the National Union of Mineworkers inSouth Africa. However, the economics and safety issues are such that many of the large South African mines must move toward more automation or they will have to shut down the mines. The mining companies are already doing the research and development. I know this. I've seen some of the futuristic technology. TGR: IsSouth Africa a safe place to invest? BK: I am OK with investing in large, well-known, name-brand companies with liquidity on the markets inJohannesburg,London, theU.S. orCanada. I am nervous about South African politics there in the medium to long term. For the average North American investor who wants an array of mining or energy stocks, owning shares in a few South African companies listed on North American and European exchanges is fine, but keep your eyes open. TGR: What about other jurisdictions inAfrica? Has the recent turmoil inMali and subsequent selloff created opportunities, or should retail investors stick to safer jurisdictions? BK: Right now, one of my strongest small-cap or micro-cap recommendations is Reservoir Minerals Inc. (RMC:TSX.V), which is inSerbia. The Serbian angle alone for copper and gold makes Reservoir Minerals a great play, but it also has some very promising acreage inGabon. TGR: Is that a gold play? BK: Yes, at an early stage. It is based on geologic research performed in years past by France's Bureau of Geological and Mining Research, which identified some very promising pre-Cambrian greenstone plays inGabon. TGR: Where are Reservoir's projects? BK: East ofBelgrade, it has a gold mine at Deli Jovan. This is a mineral district that goes back to theRoman Empire. A gold mine there was blasted through solid gabbro back in the early 1900s and closed just before World War II. The Reservoir people opened it up after 75 years. To my mind, this is a very promising gold-mining district. Reservoir also owns acreage adjacent to the Bor copper deposit inNortheastern Serbia. At one time, Bor was the largest copper mine inEurope. Reservoir has mineral claims along strike, north and south of the Bor mine, which it is joint venturing with Freeport-McMoRan Copper & Gold Inc (FCX:NYSE). TGR: Is there one other small-cap or micro-cap name you could leave our readers with? BK: One of my favorite small gold players is Carlisle Goldfields Ltd. (CGJ:TSX; CGJCF:OTCQX) in Lynn Lake, Manitoba.Carlisle is pursuing the gold mineralization in an existing mining district—an old copper-nickel play from the 1950s and 1960s. The old miners never went after the gold because the price did not support it, way back when. But there is a remarkably large gold-silver resource in the area. LynnLakehas railroad access, which lessens infrastructure costs dramatically. There also is an airfield nearby. There is a lot of old mining heritage and mining history there. It's not that you would really reactivate any of the old works, but in terms of a brownfield development in the midst of the boreal forest of northwestManitoba, this is a very promising gold-silver play. TGR: Basically,Carlisle is working on an extension of theCanadian Shield that goes intoManitoba and stretches aroundHudson Bay. Does it have a maiden resource yet? BK:Carlisle has over 2 Moz Identified, and I think there is more to come. It has an aggressive drilling program. It is cashed up with enough money to do what it needs to do. It already spent the money needed for drilling. Moving ahead, it just has to do back-office lab work and paperwork to process the NI 43-101. I expectCarlisle to show stronger and stronger numbers in subsequent iterations of the NI 43-101. I think it's a strong takeover candidate. TGR: Who would do that? BK: I do not want to be overly speculative. An Agnico-Eagle type of company, a strong midtier that needs a nice resource. I expect its 2 Moz will double in the next 6 to 12 months based on data that's still being crunched, and without much new drilling. I thinkCarlisle would make a very attractive3 to 5 Moz addition to a midtier player. TGR: Are there rosy days ahead or should investors expect continued volatility? BK: I think we will have to live with volatility for the foreseeable future. The good news is that the world needs resources. There are seven billion people out there. A billion are doing all right, just now, and the other six billion want to get there, too. The next big issue is whether the world economy supports the investing model we've grown up with. TheChinastory is beginning to unravel. The Chinese are pouring less steel, and even rejecting shipments of iron ore. It's a slowdown that's been building for a while, and now we have to deal with it. We have unending problems inEurope. No need to elaborate there, right? Meanwhile, theU.S.is in the middle of a presidential election season. Everything that anyone says for the next six months will be nothing but political propaganda; you have to work really hard to decipher the truth. As the summer wears on, theU.S.will reach its debt limit and we'll have those arguments and the threat of aU.S.government shutdown all over again. All of these big picture things are weighing down on people's willingness to invest in the future. I was at a conference last week atHarvardUniversity. I was in the room with senior executives from high-tech firms, large money managing firms and such. Everyone talked about how nervous they are about the future. One person explained why he's sitting on a huge wad of cash and not spending. He said, "I can deal with a recession every 10 years, but if we are going to have recessions every two or three years, I am going to accumulate as much cash as I can. I will sit on it and ride things out, good and bad." People are nervous about the future, about investing, about whether they will ever see a return on their investments. We're living in a world of return-free risk. Where's the future in that? We have to learn to live with market volatility. That does not mean there are no opportunities out there. It just means that the risk profile of owning for the long term will be much more problematic. TGR: You said the world needs resources, but does the world really need gold? BK: Easy question. Yes, the world needs gold. Gold prevents the people who make and run fiat currencies from doing anything too stupid, although I seldom fail to be amazed. The people in charge are really pushing the limits of that stupidity-envelope. Byron King writes for Agora Financial's Daily Resource Hunter. He edits two newsletters: Energy & Scarcity Investor and Outstanding Investments. He studied geology and graduated with honors from Harvard University, and holds advanced degrees from the University of Pittsburgh School of Law and the U.S. Naval War College. He has advised the U.S. Department of Defense on national energy policy. Click here for a free copy of Bryon King's award-winning Outstanding Investments. 2) The following companies mentioned in the interview are sponsors of The Gold Report: NovaGold Resources Inc. Streetwise Reports does not accept stock in exchange for services. Interviews are edited for clarity. 3) Byron King: I personally and/or my family own shares of the following companies mentioned in this interview: None. I personally and/or my family am paid by the following companies mentioned in this interview: None. I was not paid by Streetwise Reports for participating in this story. Streetwise – The Gold Report is Copyright © 2012 by Streetwise Reports LLC. All rights are reserved. Streetwise Reports LLC hereby grants an unrestricted license to use or disseminate this copyrighted material (i) only in whole (and always including this disclaimer), but (ii) never in part.